Felix Gary Gray (born July 17, 1969) is an American film director, film producer, music video director and actor. Gray directed Friday, Set It Off, The Negotiator, The Italian Job and Straight Outta Compton. He also directed the eighth installment of the Fast and the Furious franchise, The Fate of the Furious, which is the 16th highest-grossing film of all-time. He also directed such critically acclaimed and award-winning music videos as "It Was a Good Day" by Ice Cube, "Natural Born Killaz" by Dr. Dre and Ice Cube, "Keep Their Heads Ringin'" by Dr. Dre, "Waterfalls" by TLC and "Ms. Jackson" by Outkast. Gray was born in New York City and raised primarily in South Los Angeles. He began his career in 1989 when he appeared uncredited in the satire comedy film Major League. Three years later, he directed the music video for Ice Cube's "It Was a Good Day". The video is a literal adaptation of the lyrics. He would go on to direct subsequent videos for Ice Cube, as well as artists such as Cypress Hill, Outkast, Dr. Dre, and Queen Latifah. At age 26, Gray directed his first film, the urban comedy Friday with rapper-producer Ice Cube and Chris Tucker. Next, he directed the film Set It Off, with Jada Pinkett and Queen Latifah. He then directed The Negotiator, which starred Kevin Spacey and Samuel L. Jackson, and earned Gray both Best Film and Best Director awards at the 1998 Acapulco Film Festival. Gray also directed The Italian Job, an action-thriller starring Charlize Theron and Mark Wahlberg. Gray garnered the Best Director award at the 2004 Black American Film Festival for his work on the film, which surpassed the $100 million mark in the domestic box office. His next film was A Man Apart, an action thriller starring Vin Diesel. He would later direct Be Cool, an adaptation of Elmore Leonard's novel of the same name. The John Travolta vehicle was panned by critics but went on to gross over $95 million worldwide. His next film was the thriller Law Abiding Citizen, starring Jamie Foxx and Gerard Butler and written by Kurt Wimmer. The film grossed over $100 million worldwide. Gray also directed the 2015 drama Straight Outta Compton, a biographical film about the rap group N.W.A. In 2017, Gray directed The Fate of the Furious, the eighth film in The Fast and the Furious franchise, which was released on April 14, 2017. Upon release, both films set the record for best opening by a film with a black director and The Fate of the Furious became the first film directed by an African-American to gross over $1 billion worldwide. 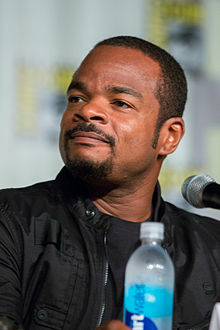 During the 2016 Oscar nominations that sparked the #OscarsSoWhite hashtag due to lack of diversity, F. Gary Gray was noted by many sources to have missed out on a nomination for Best Director for his work on Straight Outta Compton. On April 18, 2018, Paramount Pictures announced that Gray would be directing a film based on Hasbro's M.A.S.K. ^ "F. Gary Gray Biography (1969?-)". FilmReference.com. Retrieved June 29, 2017. ^ D'Alessandro, Anthony (April 17, 2017). "'Fate Of The Furious' To Clock $100M+ Stateside, As Pic Zooms To All-Time $529M+ Global Debut – Sunday AM Update". Deadline Hollywood. Retrieved April 17, 2017. ^ a b Barker, Andrew (April 5, 2017). "On Eve of 'Fate of the Furious,' F. Gary Gray Celebrates 25 Years of Filmmaking". Variety. Retrieved June 29, 2017. ^ "Be Cool (2005)". Box Office Mojo. Retrieved 2017-08-06. ^ "The Fate of the Furious (2017) - Box Office Mojo". ^ "Box-Office Milestone: 'Fate of the Furious' Crosses $1B Globally". The Hollywood Reporter. 2017-04-30. Retrieved 2017-06-22. ^ Harris, Dana; Brueggemann, Tom (2017-04-04). "'The Fate of the Furious': F. Gary Gray is the First African American To Direct a Billion-Dollar Movie". Indiewire.com. Retrieved 2017-06-22. ^ Fleming Jr, Mike (April 18, 2018). "Paramount Teams With F. Gary Gray To Turn 'MASK' Into Film Franchise". Retrieved April 18, 2018. ^ Chitwood, Adam (2018-12-05). "The 'Men in Black' Reboot Is Titled 'Men in Black International'". Collider. Retrieved 2018-12-05. ^ Megan Peters (October 17, 2018). "Chris Hemsworth Confirms 'Men in Black' Wraps Filming". Retrieved November 1, 2018. ^ ""Pretty Girl" by Jon B." VH1 (Viacom International). September 1, 2004. Archived from the original on May 18, 2015. Retrieved May 9, 2015.